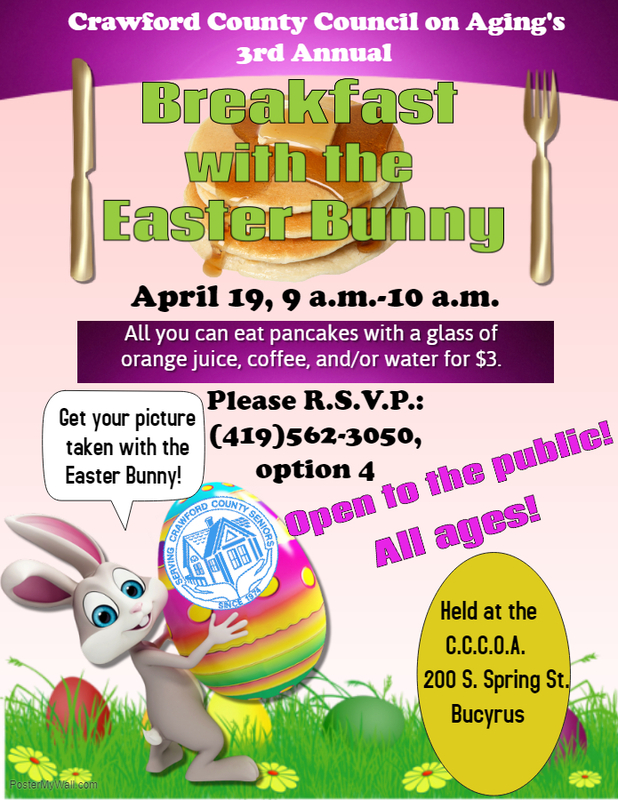 The Crawford County Council on Aging is holding their 3rd annual Breakfast with the Easter Bunny on April 19 from 9 am to 10 am. All you can eat pancakes with orange juice, coffee, and/or water for $3. Get your picture taken with the Easter Bunny. Open to the public – all ages welcome! Please RSVP – 419-562-3050, Option 4.